The internet has come a long way since the Webby Awards started in 1997. According to the Webby Awards website, in 1997 there were just over a million websites and 14 Webby Awards. For anyone who remembers surfing the internet back then, on a dial-up connection, the internet was in its infancy. Some of my favorite examples from the 1997 Webby Awards include Travelocity, e!Online and Fortune Magazine. A lot of the websites have a similar theme, columns with navigation on the left side, elementary color schemes, and rudimentary designs. Fast-forward 20 years. The Webby Awards estimates that there are now more than one billion websites and they have given 407 awards this year alone to honor the best the internet has to offer. 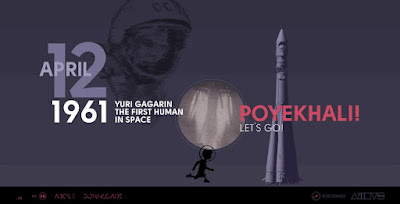 What I love: What’s not to love about space exploration? I love the graphics and the way the timeline is treated and how visitors can interact. The music and space talking in the background adds to the “feeling” of the website, which conveys an important message to website visitors. The mood and tone is determined by the visitor within three seconds of landing on the page. The “feeling” the visitor gets should be just one of many of the take-aways the website owner wishes to convey. 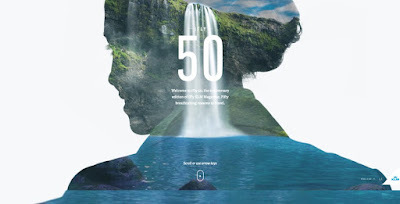 What I love: iFly 50 is the anniversary edition of iFly KLM Magazine brought to you by KLM Royal Dutch Airlines. The special edition of this magazine features 50 great travel locations. It includes breathtaking photographs and videos that sell the travel experience. 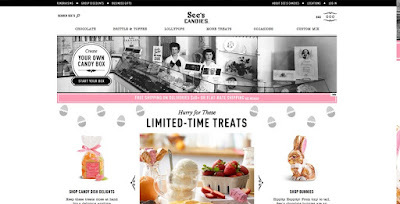 Striking visuals are a way to make your visitors remember your website. I especially like the “extra” features – for example, when you hold the spacebar down on #46 the Stari Most bridge, a16th-century Ottoman bridge in the city of Mostar in Bosnia, you see an image of a bridge dive. On the next screen, you can learn more about the bridge and the 450-year dive tradition. This specialized user experience creates brand awareness and engagement for KLM Royal Dutch Airlines. 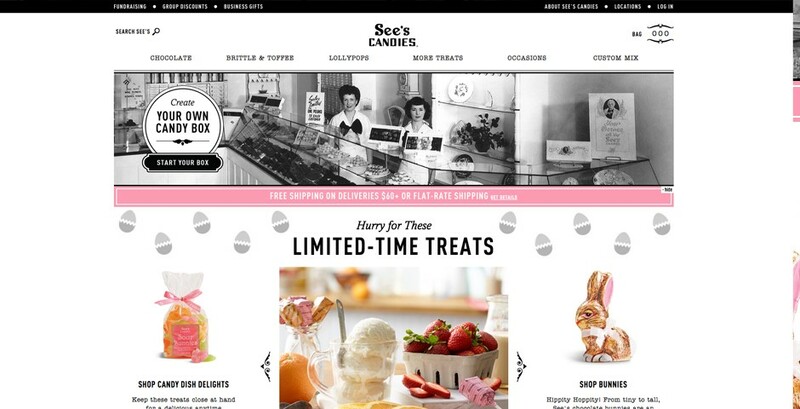 What I love:The vintage photo at the top of the website creates a nostalgia of going to the candy store as a child. The limited color palette makes the photographs of the products stand out. It’s easy to navigate and shop, and even to create a custom box of chocolates with many options. Each photograph entices the visitor to make a purchase which is the goal of an eCommerce business. 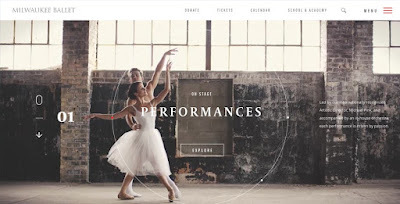 What I love: The movement of the website and the way the camera continuously moves provides excellent visual appeal to the website visitor. 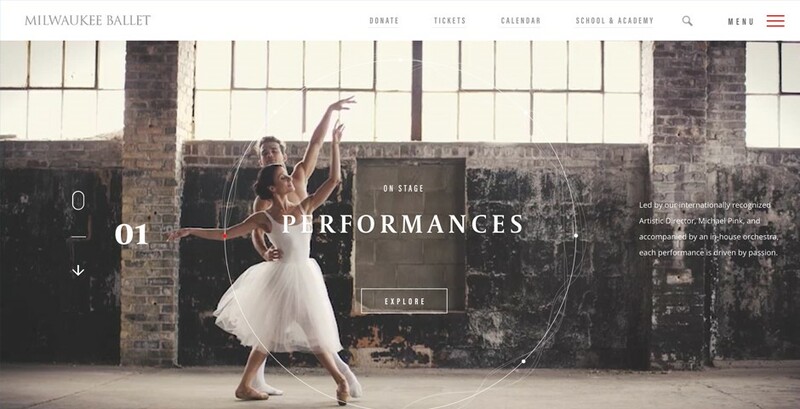 The navigation is also different, which provides the visitor with a unique experience, just like the Milwaukee Ballet does with its performances. This is an excellent example of a website that marries the experience it is selling to the visual experience on its website. What I love: Have you ever wondered what bears eat or how they travel through Yellowstone Park? If so, this is the perfect website for you. It is packed with information and engaging bear’s-eye view video. 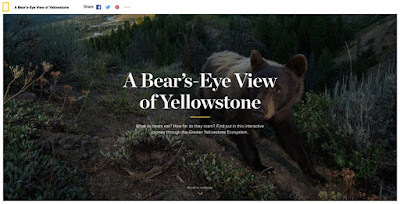 The interactive map allows viewers to go from one area to the next by scrolling to see what the bears are eating and how they are traveling. On the left side of the site, visitors can see how far they’ve traveled with a particular bear on its path. The annual Webby Awards provide useful information for businesses and designers alike to see what is new, different and trending in website design and development. Sometimes, you see websites showcased that you wouldn’t normally see like Bear’s-Eye View of Yellowstone. But most importantly, it provides a plethora of ideas and experiences that can be adapted to similar audiences when companies need to launch new or redo existing websites. Want to see more award winners? Check out the list of winners here. If you like what you see, be sure you check out the 21st award show live on May 16th on YouTube.